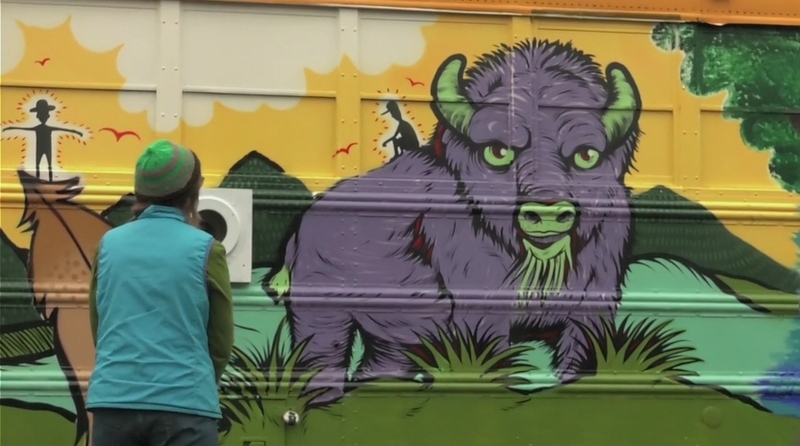 After a trip to North Dakota to deliver the first Bunk Bus and many conversations with Water Protectors at Oceti Sakowin, volunteers have realized the necessity for a second Bunk Bus. The second bus has already been purchased and they are currently working with the wonderful, brilliant, and generous people of Manifestations, a maker space in SE Portland, to convert it into a medical healing shelter. Volunteers are working to make the second bus more heavily insulated than the first and are installing fans to help circulate warmed air throughout the interior. The electrical system will also be simpler, but still set up to plug into solar panel and/or wind turbine sources. Water protectors at camp have also expressed the need for outhouse tents, which they will also be building and delivering on their next journey. The entire project is scheduled for completion by January 6th and, depending on weather, could be in use at camp by January 10th! Responses to "Portland Volunteers Building Another Medical Bus For Standing Rock "